Opportunity and position information: Pinckney Chrysler Dodge Jeep is now hiring Automotive Technicians. $$ign-On Bonus for experienced Techs with drivability/electrical skills. Great opportunities for all other Techs as well and we are e$pecially interested if YOU are Chrysler Certified! $$ign on bonus for the right Techs, contact us for details! 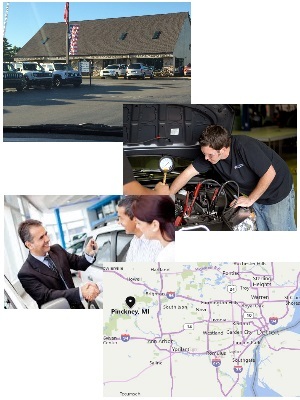 *Even if YOU have never worked in a dealership, we invite you to talk to us to find out more about our non-dealership experience assimilation program! We have factory training and support to make it easy for non dealership Techs to become more efficient and make MORE money.